Xiaomi Redmi Note 7 Vs Samsung M20: Amid strong competition, Xiaomi is all set to launch Xiaomi Redmi Note 7 in 3GB, 4GB and 6GB versions. Xiaomi's direct fight will be with Samsung's M20 smartphone, which is available in 3GB and 4GB variants in the market. Xiaomi Redmi Note 7 Vs Samsung M20: After impressing all in the Indian smartphone world, the tech giant Xiaomi is all set to launch its new device Redmi Note 7. According to the reports, Xiaomi will release the new smartphone in February. The tech experts have predicted that Xiaomi’s new phone will catch all the attention as it is loaded with a 48-megapixel camera. Xiaomi’s new phone will take on Samsung’s M20, which is already available in the market and it would be an interesting contest between both the gigantic companies. 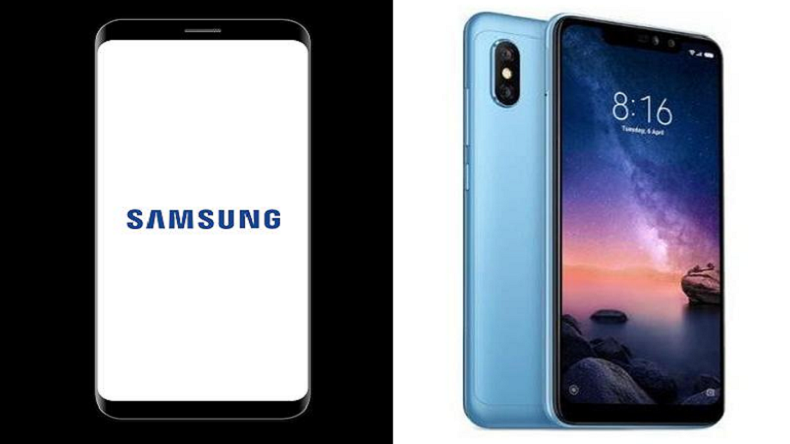 Samsung had launched Galaxy’s M20 smartphone last month, which has been priced around Rs 10,990 and to compete with Samsung’s product Xiaomi is likely to keep the price around Rs 10, 000. The reports suggest that it will come in 3 variants 3GB, 4GB and 6GB version phones. While the rival company Samsung has only 3GB and 4GB smartphones versions to offer. The phone comes with a 6.3-inch Full HD+ (2340 ×1080 pixels) display. Which has a 19:5:9 aspect ratio, 2.5D curved glass. The latest Xiaomi Redmi Note 7 is powered by Qualcomm octa-core Snapdragon 660 processor and company has coupled it Adreno 512 GPU processor. To shrug off the device hang problems, the company is offering the latest device in 3GB RAM with 32GB of inbuilt storage, 4GB / 6GB of RAM with 64GB of inbuilt storage, expandable up to 256GB with microSD. The smartphone runs on Android 9.0 Pie. Its also called as a camera phone as it has a 48-megapixel primary rear camera with LED Flash, 0.8μm pixel size, f/1.8 aperture, PDAF, EIS. A secondary camera 5-megapixel is also mounted to click the perfect pictures. On the front side of the device, a 13-megapixel selfie camera with f/2.0 aperture is given to capture the memorable moments. It is mounted with a rear fingerprint scanner. A powerful 4000mAh battery with Quick Charge 4 support. The Samsung’s smartphone has 6.3-inch Full HD+ (2340 x 1080 pixels) TFT T which has Infinity-V display with 19.5:9 aspect ratio, 2.5D curved glass. The recently launched phone carries its own octa-core Exynos 7904 processor with Mali-G71 GPU. It has a 3GB RAM with 32GB inbuilt storage capability. Its 4GB RAM phone has 64GB of inbuilt storage, with expanding facility up to 512GB with microSD. Samsung M20 also has an Android 8.1 Oreo with Samsung Experience 9.5 on top. The device is mounted with 13-megapixel primary rear camera with f/1.9 aperture, PDAF, LED flash, 5-megapixel ultra-wide camera with f/2.2 aperture. The Samsung phone is also mounted with 8-megapixel camera with an f/2.0 aperture. The phone is comes with a fingerprint scanner and a face unlock. It has a huge backup with a 5000 mAh battery support. The phone is offering Dual SIM connectivity with a microSD card slot.